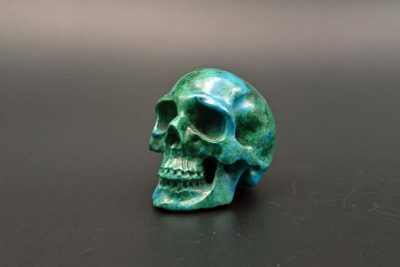 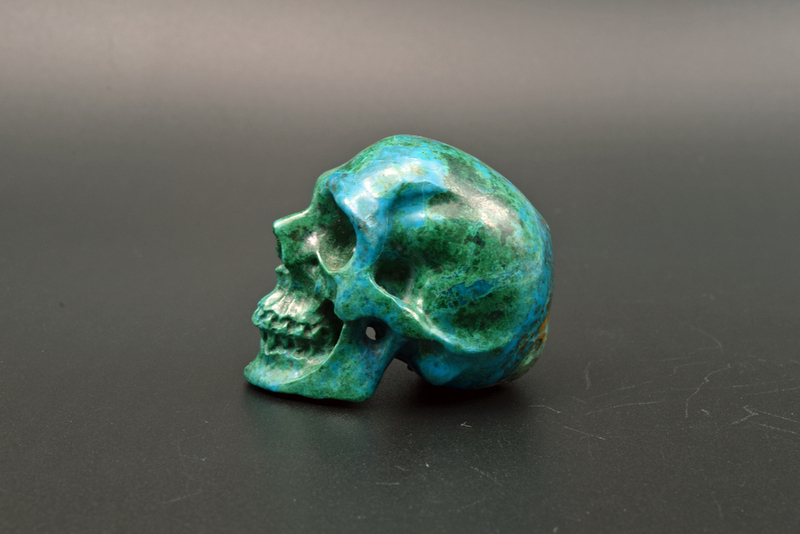 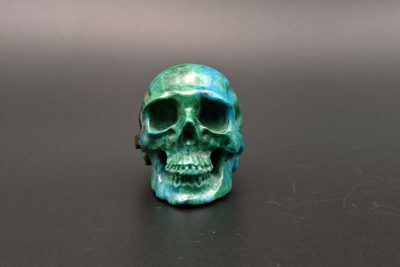 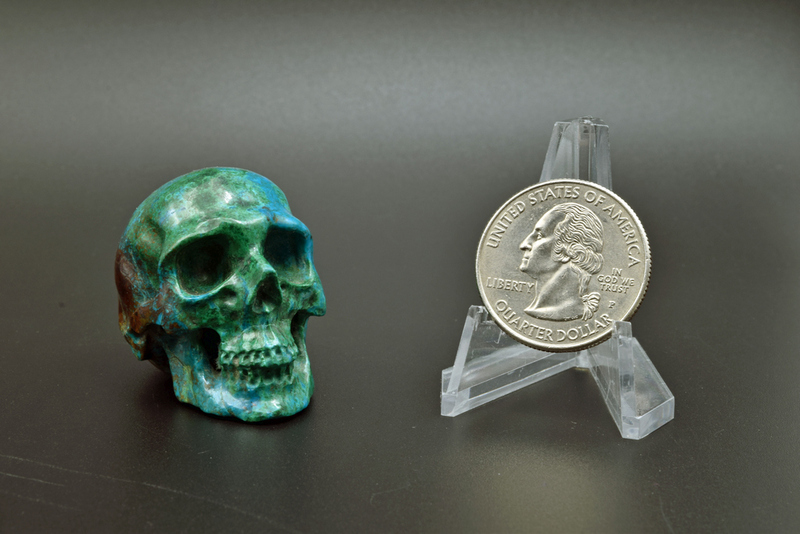 Skull hand carved from chrysocolla. 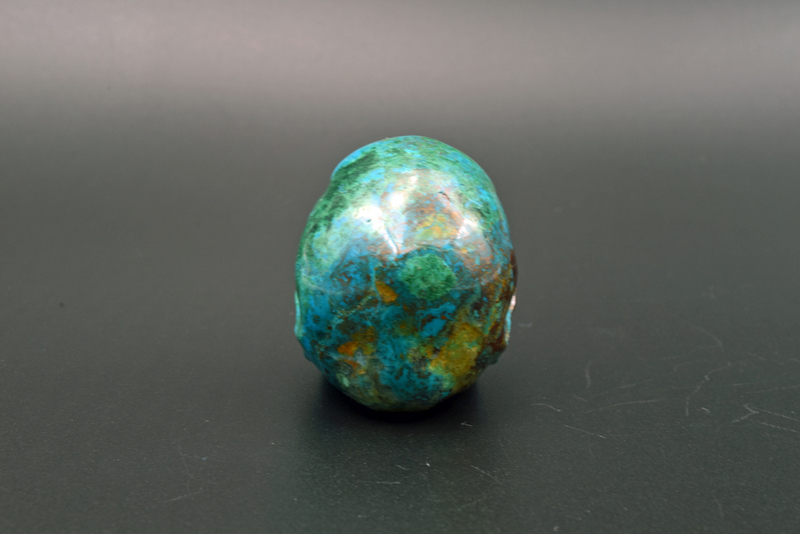 Chrysocolla is hydrous copper silicate with a hardness ranging from 2 to 4. 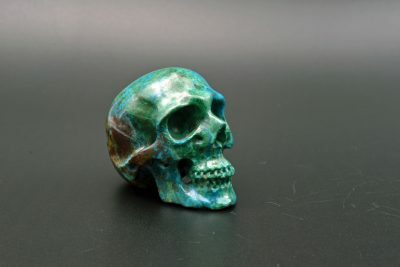 Its color is a combination of vibrant shades of blues and greens. Chrysocolla is frequently found in oxidized copper deposits, often in association with malachite, azurite, and cuprite. 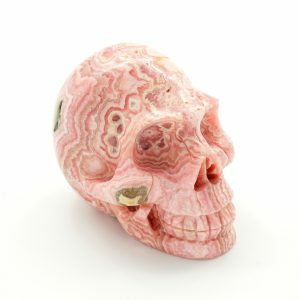 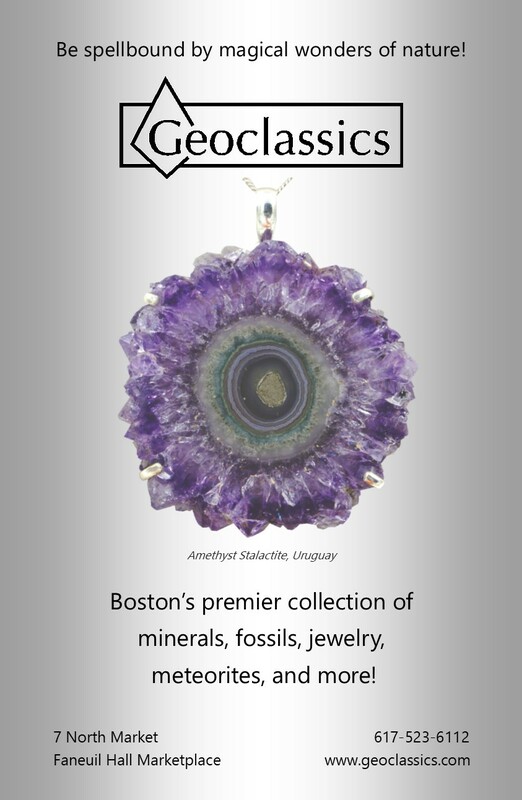 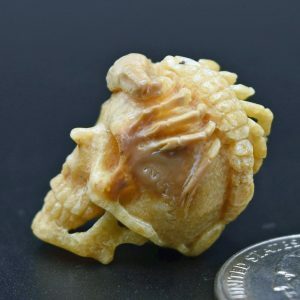 Sometimes known as the “teaching stone,” it is associated with communication, encouraging one to speak from the heart and to share the knowledge gained through experience. 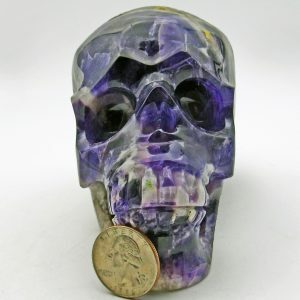 It can also aid in dispelling angry words or sarcasm. 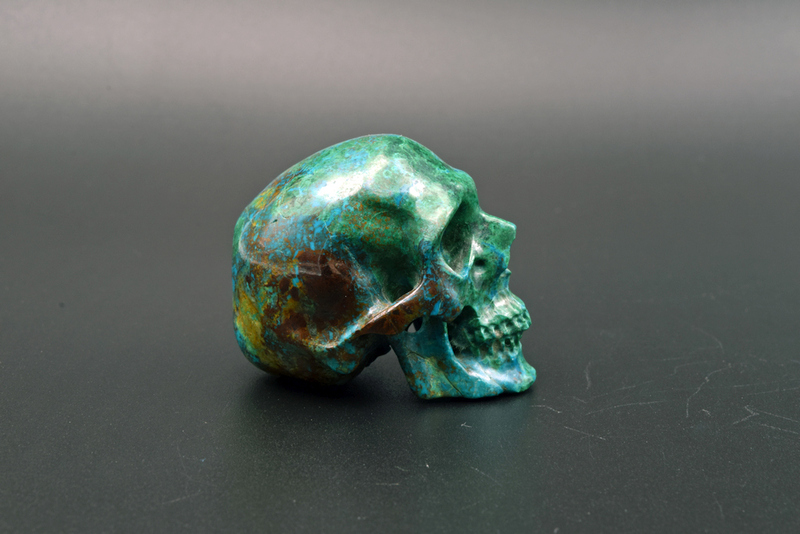 Chrysocolla deposits have been found in Chile, Peru, Arizona, and the Democratic Republic of Congo.